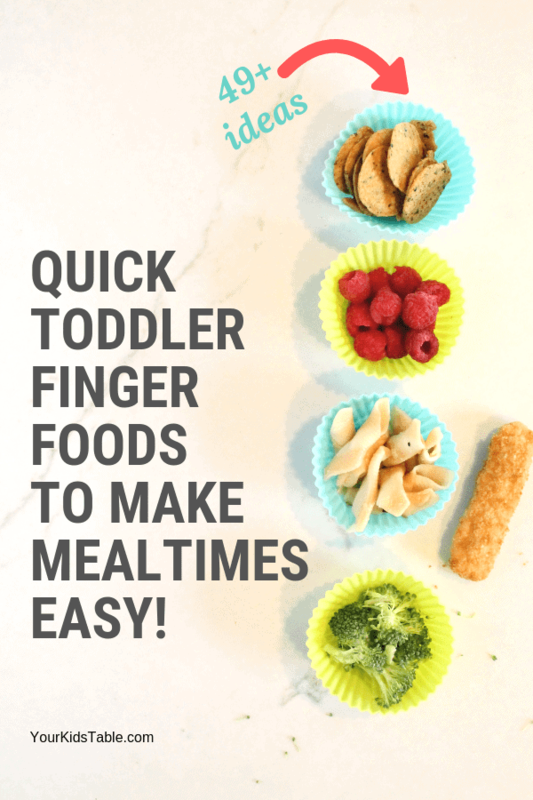 Healthy, safe, and easy finger foods for toddlers that will make putting a meal in front of them a snap. Steak salad topped with pomegranate seeds and Gorgonzola crumbles. Chicken fajitas with spicy peppers and onions. Roasted lamb with cucumber sauce. These are all dinners I served once upon a time before I had kids. I’d stand over one of my Rachel Ray cookbooks on any given night and whip up something new and tasty for my husband and I. And, while I was determined to not change my foodie ways when feeding my kids, the fact is, if you don’t want to make 2 separate meals, and I’d recommend that you don’t, I had to cook foods that were more toddler friendly. It’s easy to hit a wall with different finger foods for toddlers and get stuck serving them the same types of food over and over again. But, variety is important. 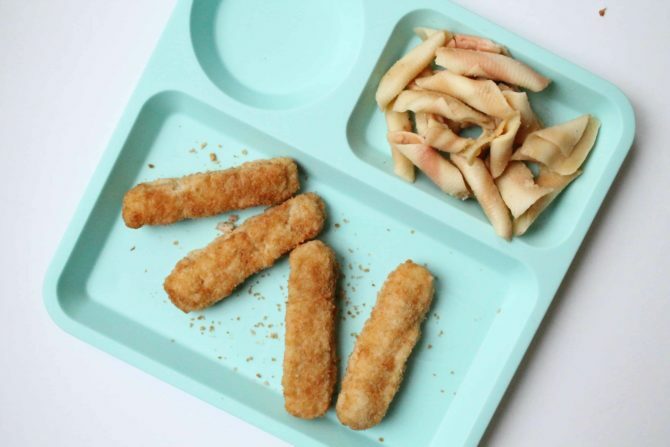 It exposes kids to new flavors and textures. 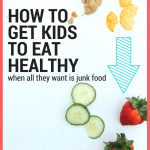 Read more about how much variety your kid should eat. 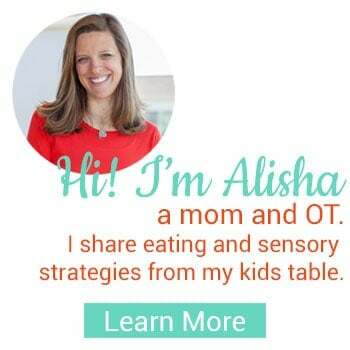 Because part of my job as an occupational therapist is helping families with eating, I’ve got lots of ideas on foods your toddler can eat on their own, finger food style! 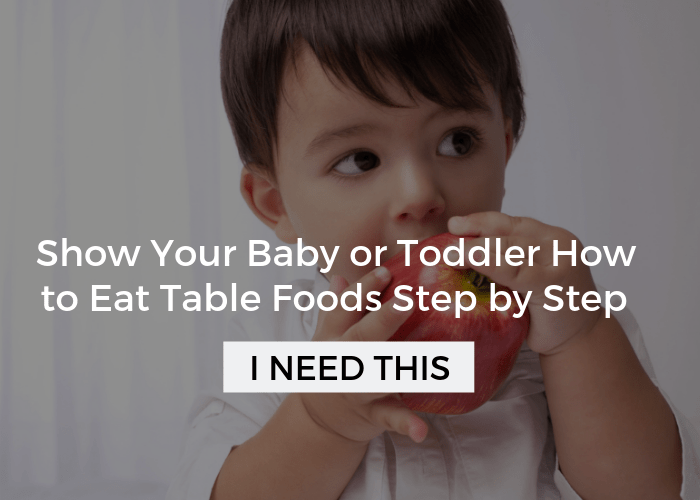 Shape matters: Although I love to encourage spoons and forks from an early age, to keep your sanity, you’ll want to have your toddler feeding themself as often as possible. 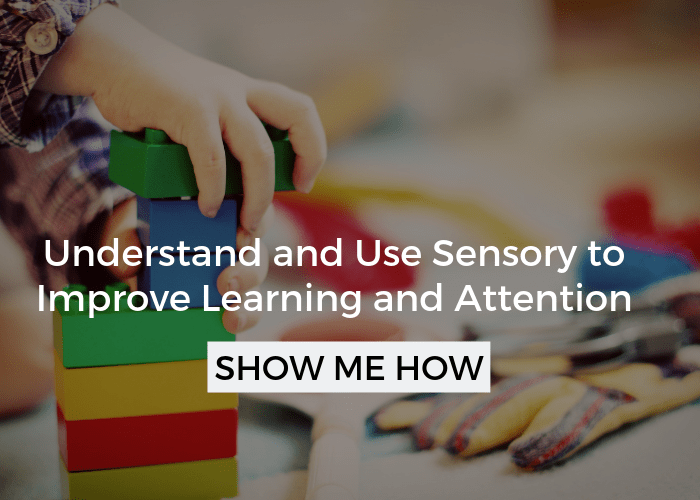 That means giving them their food in a stick or diced up so they can easily pick it up with their fingers. Keep in mind that the diced pieces shouldn’t be too large to choke on or too small that it can’t be picked up. Talk to your child’s doctor about their recommendations if you’re not sure what your child can handle. 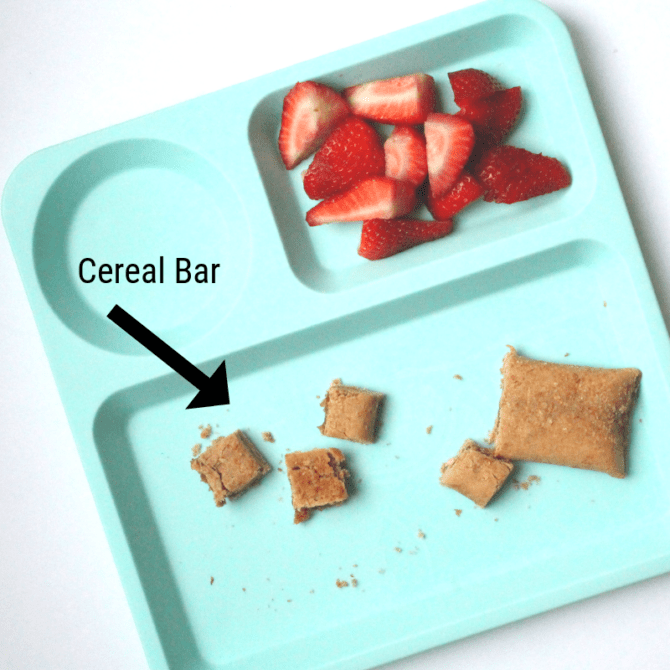 Promote Independence: Encourage your child to feed themself and avoid forcing in bites. Toddlers are notorious for not eating consistently. They may eat well at one meal and then terrible over the next 4. As hard as it is on your Mama heart, know that it’s normal. 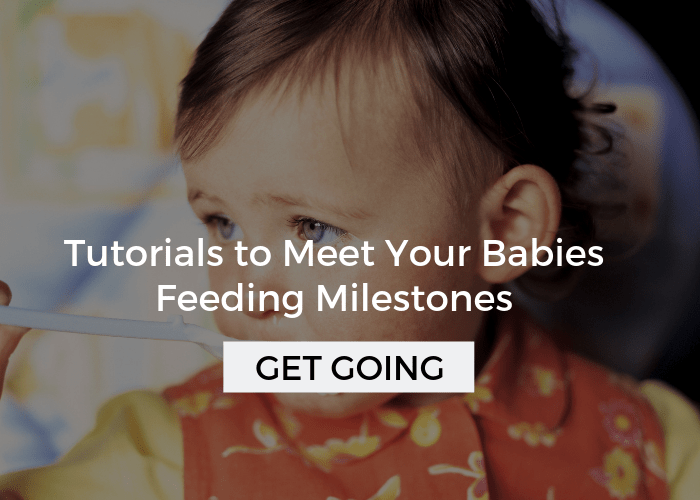 Check out how to teach your child to self feed if you need more tips. Avoid Choking Hazards: My toddlers always wanted popcorn when they saw someone eating it, but it’s a big choking hazard. So are whole hot dogs, whole grapes, lettuce, raw vegetables, whole nuts, and large clumps of nut butter. Pass on offering these foods for a couple of more years. 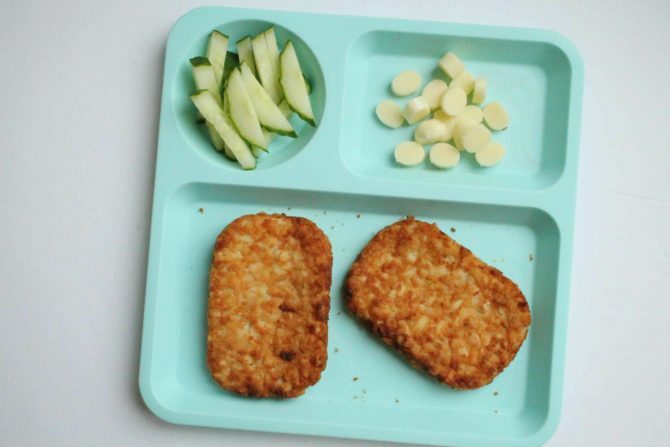 Stay Strapped in: If toddlers could have their way, they’d love to just eat on the go (aka graze). But, this sets the stage for bad eating habits that are hard to break and it also increases the risk of choking. Keeping them in a high chair or strapped booster seat is the best bet. Get tips on how to keep them seated if they cause a fuss here. 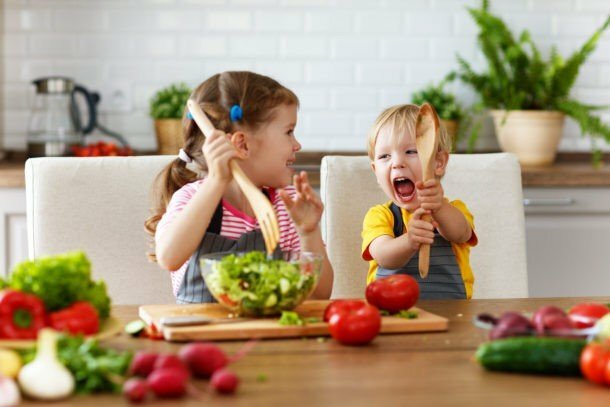 Have fun: I know, it sounds cliche, and mealtimes with toddlers can be like the wild wild west with full blown meltdowns and food being whipped across the room. But, this time will pass and many toddlers can and do love to eat. Encourage them to explore and even play with their food! 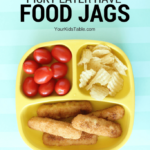 Tons of Finger Foods for Toddlers to Gobble Up! And, if you’re looking for some whole meal ideas head over to Toddler Meal Ideas. 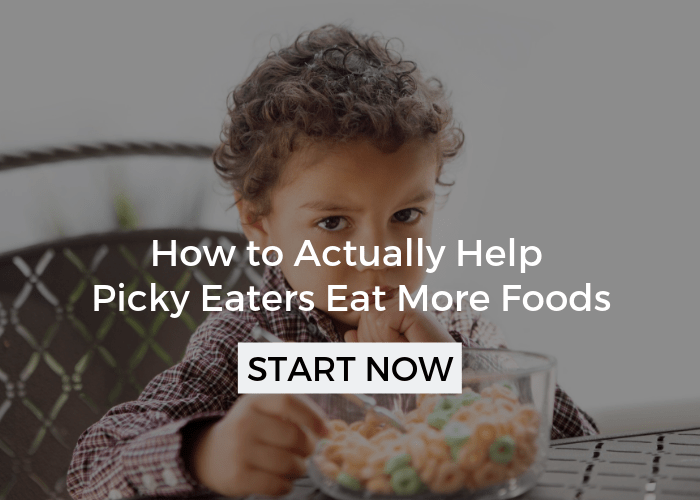 While that’s a list of over 50 different finger foods for toddlers, know that even though your eating does change with kids around the table, you don’t have to sacrifice the foods you love – even if your kid isn’t ready for them. Think about having a few finger foods at your meals with a side dish that you love. Before you know it, they’ll be eating everything right along with you. If you want to have all the ideas from this post, plus a bunch more grab my Toddler Meals Free Printable Pack, and I’ll send it to your inbox. Parents love having this to hang on their fridge when they’re tempted to pull out the chicken nuggets for the third day in a row. The Most Awesome Toddler Lunch Ideas You Can Find! You have no idea how timely this post is! My son turns 11 months in a few days, and loves finger foods far more than anything else, but is super picky and I was running out of ideas! Thank you so much for writing this. Oh yay!! I love that Chelsea. Makes my day when it works out that way!